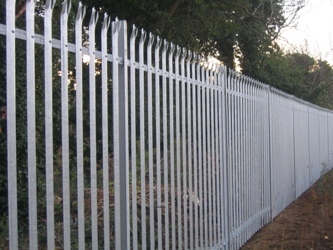 Steel Palisade Fencing - Northampton Security Fencing Ltd - All perimeter fencing supplied and installed. 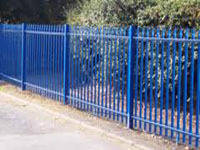 Steel palisade comes in numerous shapes and sizes and the choice will depend on a host of factors. 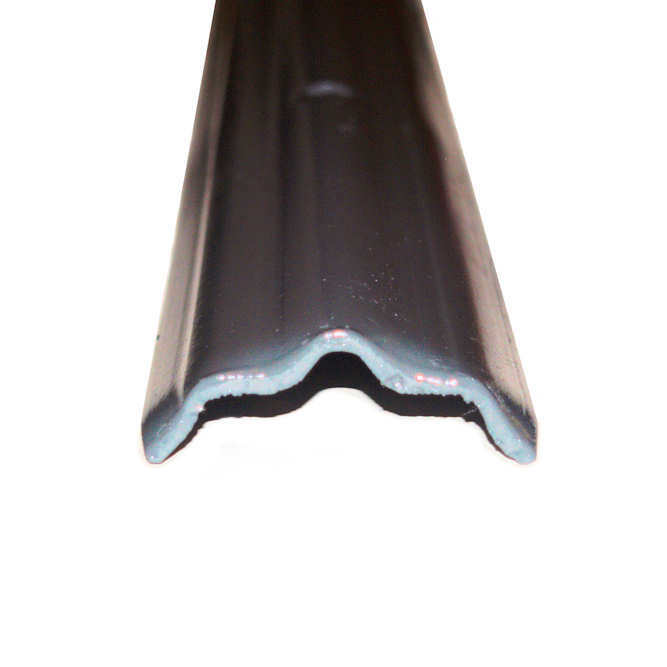 Varying thicknesses, lengths, pale heads and profiles coupled with a complete range of colours create hundreds of variations. 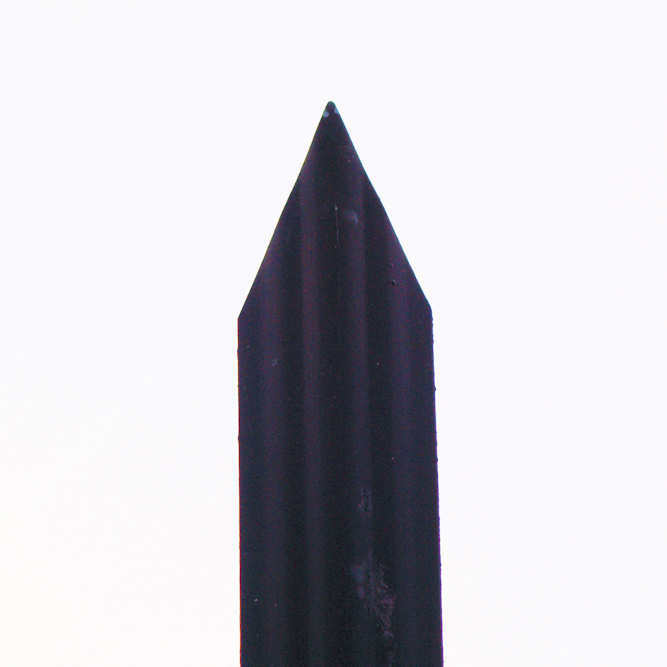 Standard Steel Palisade - is the more familiar palisade system and comes in a range of heights from 1.0m - 3.0m and is available with either a "W" profiled pale or a "D" profiled pale with both offering a range of pale heads (see below). 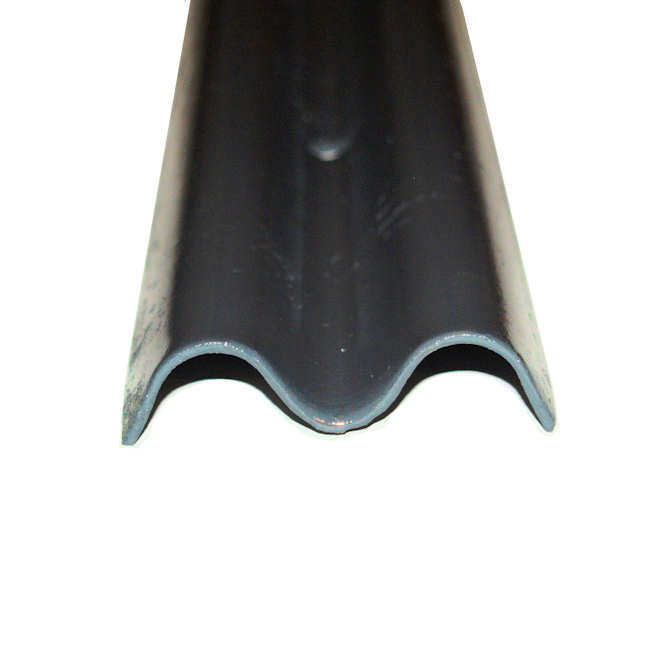 Finishes are either galvanised or powder coated in a range of colours. 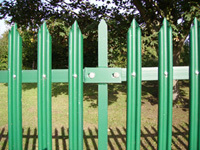 Anti-climb features are available to add to either of the above palisade systems. 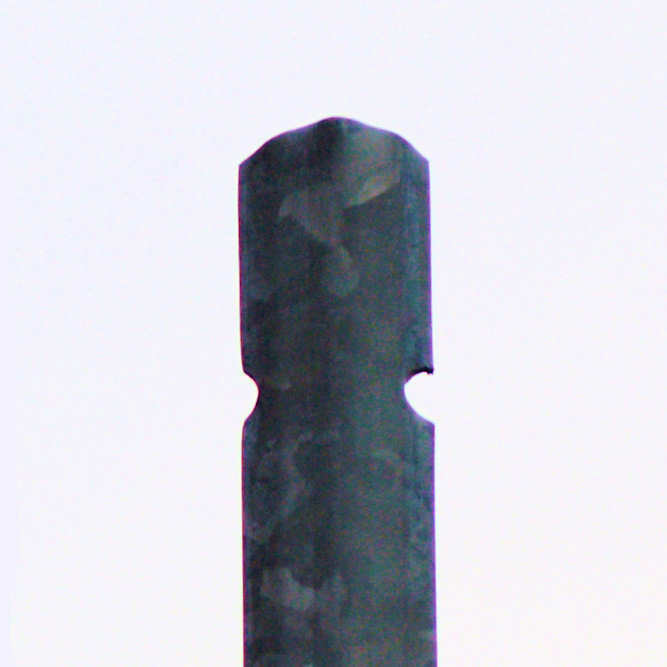 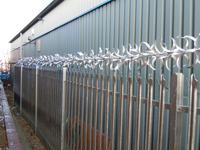 Features can include razor /barbed wire or a range of rotating anti-climb products. 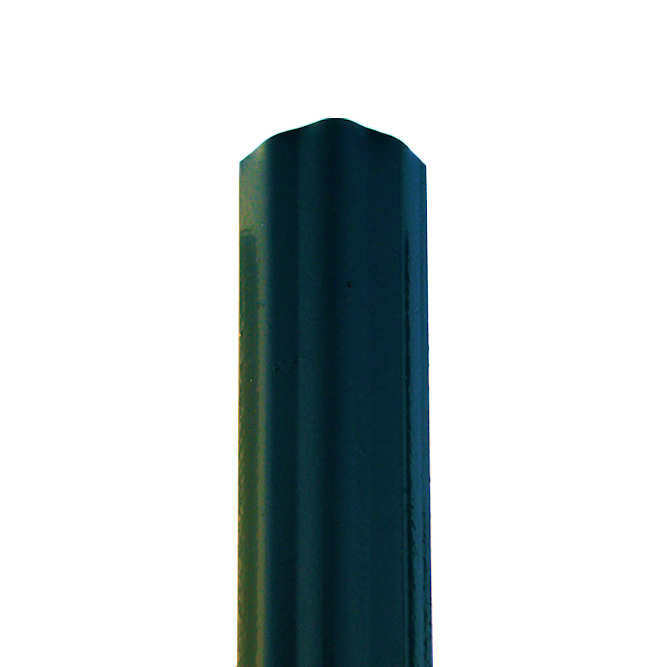 In some cases a combination of both is available.